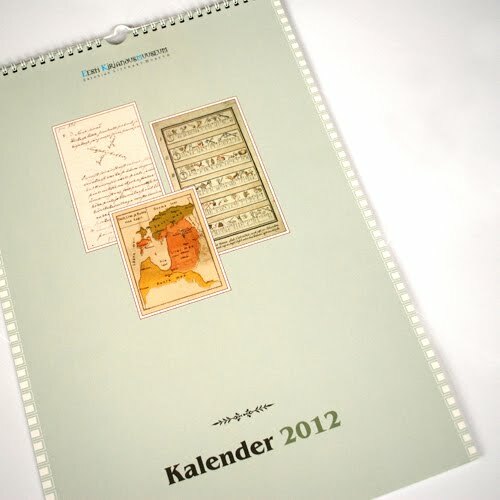 Traditionally (I guess) the calendar of Estonian Literary Museum lasts for two years - which is why it was really big work for me and filled the December completely. 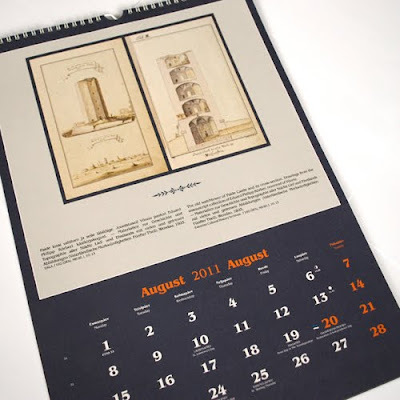 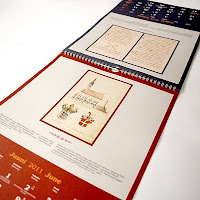 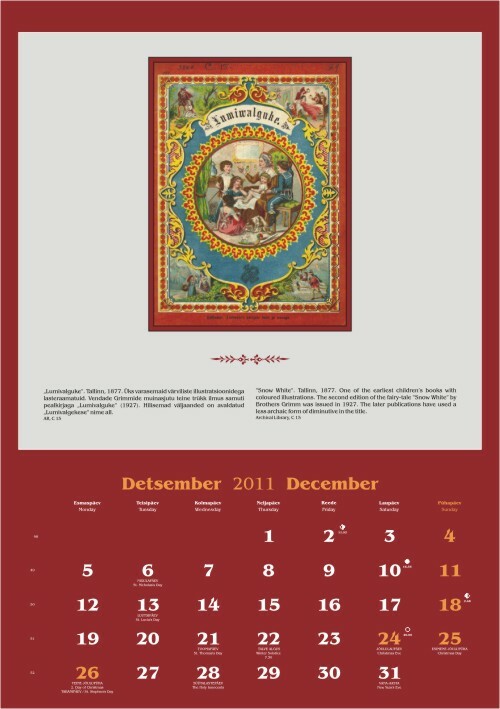 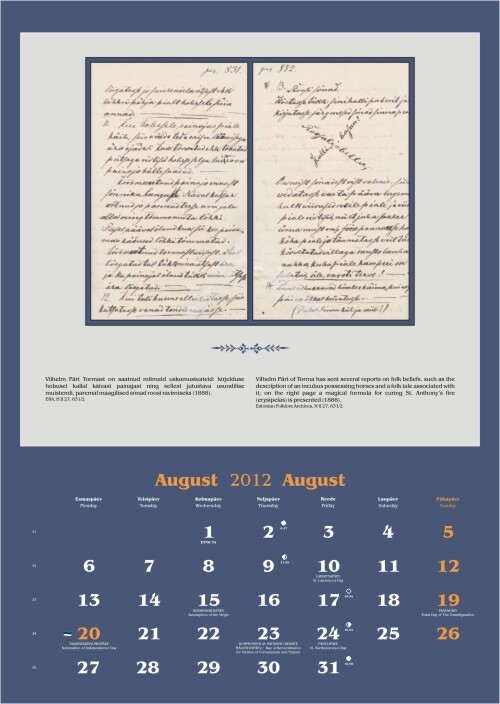 I hardly had time to do anything else - but those busy times hopefully help us appreciate the true meaning of vacation :-D.
The calendar is 29,7x42cm - and illustrated with samples of old manuscripts and publications - colorful and all :). It was a fun work indeed - I wish we'd had more time for it though.